If this Crayon holder doesn't get you excited about coloring, we're not sure what will! 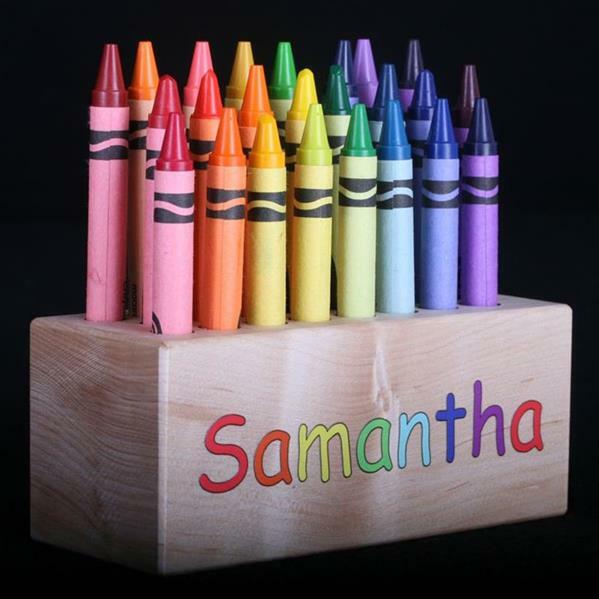 This colorful block proudly displays the name of your child and holds 24 standard size crayons. We've even taken the time to round the edges so there aren't any sharp points to hurt the little one. To get you started, we send a 24-pack of Crayola® crayons as well. With the new adult coloring book craze, we can also personalize these blocks for your friends or family members. Some of our executives that want to put people at ease when walking into their office also use these as name plates. This gift is perfect for a baby shower gift, birthday gift - or for the grown kids out there - a congratulatory gift for a job promotion! This and all of our Craft-E-Family products are proudly handcrafted in Mooresville, IN. Name is printed in rainbow colors. If name is 4 letters or less we will automatically add: 's Crayons to get the full rainbow. 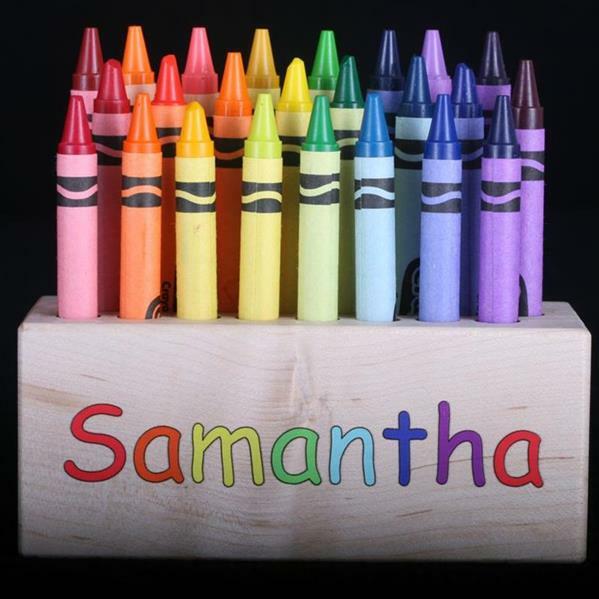 The crayon holder is made of solid maple wood. All natural with no finish. Can also be used as a desk name plate for the executives that aren't quite so serious. The wooden holder does not have any sharp points because we round all of the edges. Handcrafted in Mooresville, Indiana USA.